Does your family have a serious need to get away from it all and leave the soccer games, dance practices, and responsibilities all behind — preferably an ocean away? 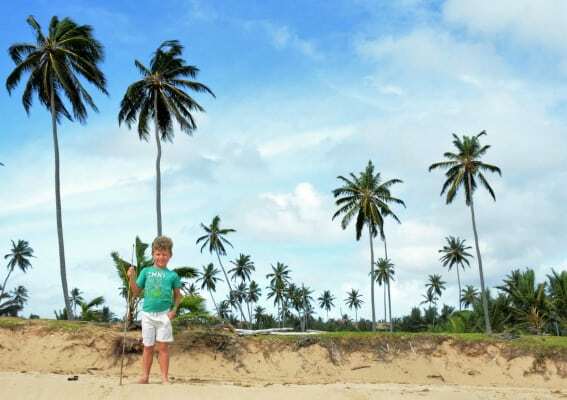 Nickelodeon Resort and Hotel in Punta Cana is the perfect place to relax together as a family at an all-inclusive family resort in Punta Cana. 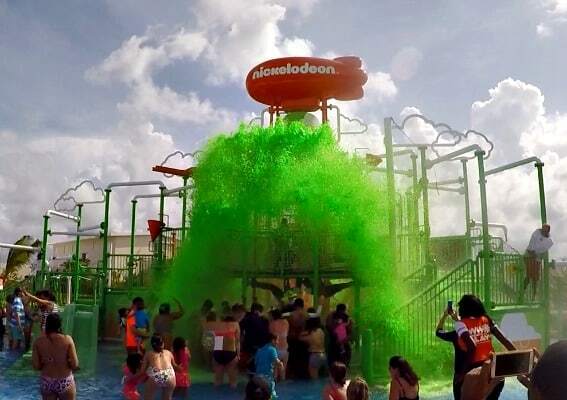 This gourmet-inclusive experience at Nickelodeon Resort has everything you need for a true vacation: fresh food cooked within view of expansive buffets, a Nickelodeon-themed water park with buckets of green slime poured out daily, a beach perfect for kayaking or snorkeling, a kid’s club with a giant ball pit, and a spa. Continue reading for my Nickelodeon Punta Cana review. What makes the Nickelodeon Resort and Hotel Punta Cana different than any other themed hotel or kiddie amusement park experience? The variety of dining experiences at this resort affords every guest the ability to genuinely savor and enjoy some amazing food. There were no stale SpongeBob shaped pretzels or ice cream bars shaped like a ninja turtle at Nickelodeon Resort. The only time characters showed up at meal time was at our reserved character breakfast. The food was amazing making this one of the best Punta Cana all-inclusive family resorts for the entire family. Yes, even without PAW Patrol-shaped pasta, my six-year-old son sat and ate his dinner from chicken nuggets to cheese pizza. Over the course of our three day stay at the resort, we dined at seven different restaurants. Not once did my picky eater leave hungry. I loved the fresh passion fruit for breakfast at Sugarcane and all the passion fruit desserts. My son enjoyed eating ham and cheese followed by ice cream by the pool. 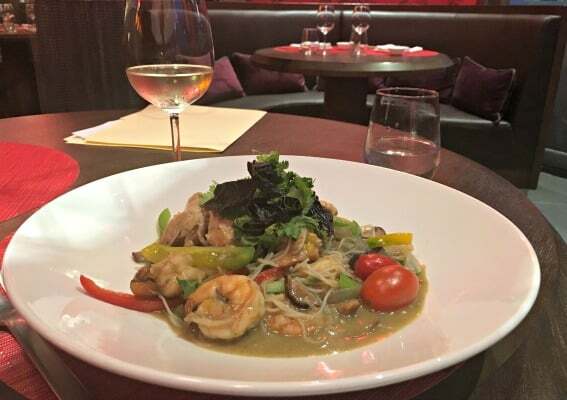 The flavors in my chicken, shrimp and noodle curry entrée at Wok Wok were amazing. 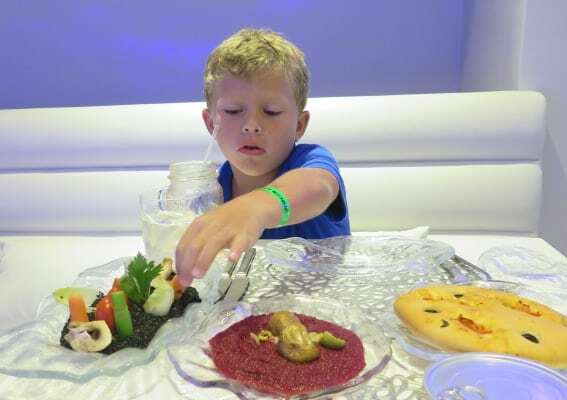 Yes, everyone in the family will eat happily at Nickelodeon Punta Cana. My son did declare our character breakfast featuring PAW Patrol, SpongeBob, and Dora the best character meal ever. Why? He liked that there was space to move and dance around. I thought it was nice that the venue was obviously built to allow for well-lit photography. If you’re going to take your three-year-old to dine with Chase and Marshall from Paw Patrol, you’re going to want to get an adorable shot of a quick hug or a high five. 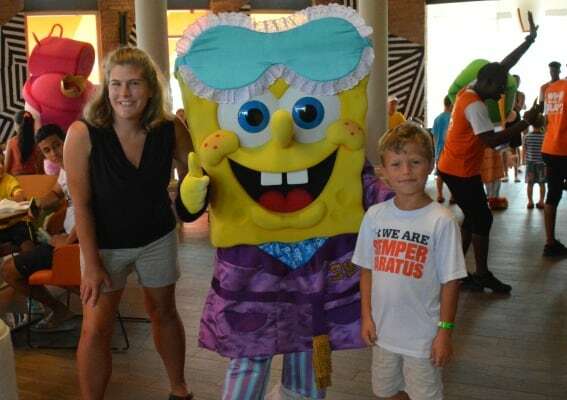 While virtually the entire Nickelodeon Resort and Hotel is family friendly, Nick Place and the Sports Hub are the two areas at the resort dedicated to kid-friendly fun. It is a bit of a walk to access these areas. However, considering my diet of yummy desserts and multi-course meals at the resort, I found the ten minute walk from our room, located right along the beach at one end of resort, to Nick Place at the opposite end of the resort to be rather refreshing. Occasionally, we hopped on a speedy golf cart to take us to or from the entertainment complex. Aqua Nick and Just Kiddin’ are both located at Nick Place. Just Kiddin’ is an indoor kids club where children ages 4-12 can be dropped off to play; younger children can use the area with adult supervision. Craft, cooking, and science activities are scheduled throughout the day. 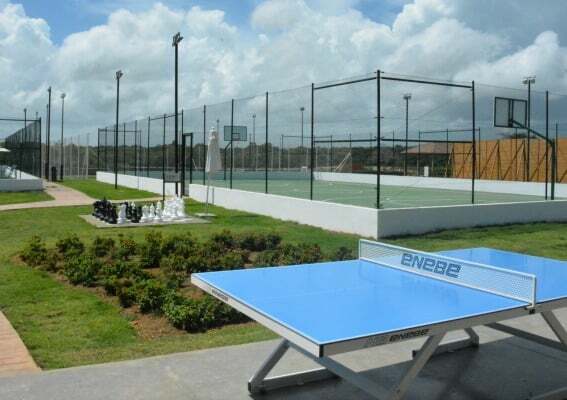 The Sports Hub looks like the place to be for tweens and teens; it has a soccer field, tennis courts, archery range, giant chess board, and a multi-purpose court. All together this kid-friendly complex makes this one of the best Punta Cana all-inclusive family resorts. Unfortunately, our vacation coincided with the approach of Hurricane Matthew towards the island of Hispaniola. So, the kayaks and snorkel gear stacked in the beach hut beside the ocean remained unused during our stay. There was always a red flag warning of dangerous conditions waving in the wind. My son and I did hop in the water for a bit to body surf the waves before borrowing some sand toys from the beach hut in order to build a sandcastle. Lifeguards watched us constantly as we played along the shoreline. With the ability to drop off my son for some playtime at Just Kiddin’ at nearly any hour of the day, the spectacular breakfast and lunch buffets available at Sugarcane and Zest, and multi-course dinners executed to perfection by the restaurant chefs at Spacewalker, I often felt like I was on a cruise during my stay at Nickelodeon Resort. Yes, I’ve enjoyed cruising. 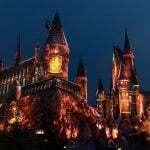 I have cruised with Princess Cruise Lines without my kids and Disney Cruise Lines with my kids. The food and childcare options available at Nickelodeon Resort are comparable, or even superior, to those that I’ve experienced cruising. However, there is one way in which an all-inclusive resort is just so much more suited towards families – the space. The pools, the rooms, the balconies, even the bathtubs and showers are so much bigger and more spacious on land, especially at the Nickelodeon Punta Cana. 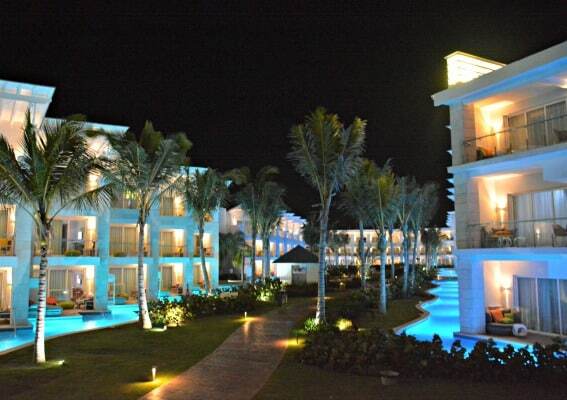 It is certainly one of the best Punta Cana all-inclusive family resorts. During our time at the Nickelodeon Resort Punta Cana we stayed in a Flat Suite with an ocean view. While the swim-up 1st floor suites were undoubtedly and understandably more popular, I loved our room. 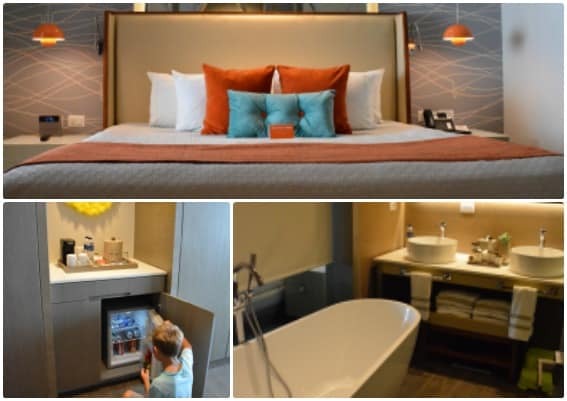 The “flats” at the Nickelodeon Resort and Hotel separate the bedroom with a king bed from the living area with a sofa bed with dividing walls and two pocket doors. These walls allowed me to easily put my son to bed in the living area while I read in the bedroom. A “flat,¨ either swim-up or not, would be the perfect room choice for a couple traveling with a child (sleeping on the sofa bed) and a baby/tot (sleeping in a crib.) The “pad” rooms are similar to the “flat” rooms but lack the dividing walls with pocket doors. There are more configurations offered in the “pad” size rooms such as two double beds with a sofa bed. 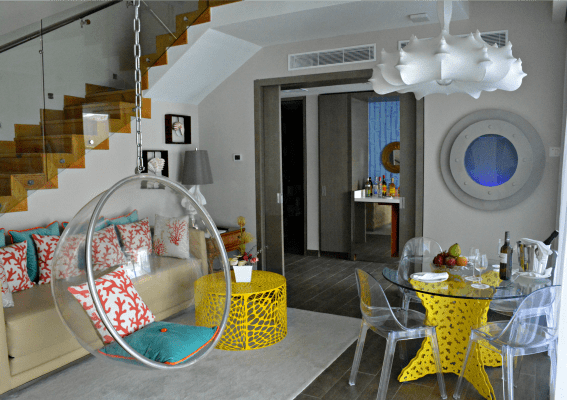 Of course, the ultimate luxury offered at Nickelodeon Resort and Hotel Punta Cana is the Pineapple Suite inspired by the home of the children’s television character SpongeBob SquarePants. This is the ultimate in Punta Cana all-inclusive family resorts! 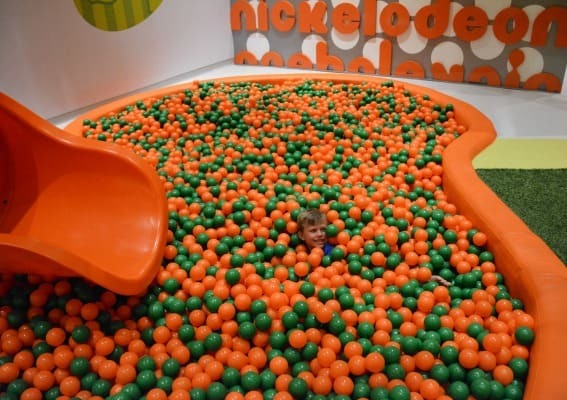 I admit that my stay at Nickelodeon Resort was my very first stay at an all-inclusive resort. Yes, I’ve been to Latin America on multiple occasions. However, I had always avoided all-inclusive resorts. Why? I was afraid that I would miss out. I didn’t think that I would be able to fully experience the country while staying at an all-inclusive. Checking-in at the Nickelodeon Punta Cana, I was prepared to say goodbye to the Dominican Republic and hello to a tropical beach destination. But, that’s not what happened. I quickly found that the warm Latin culture of the Dominican Republic permeated the resort, from the staff to the resort guests. My son and I visited the Nickelodeon Punta Cana all-inclusive family resort over an early fall weekend. Not surprisingly, there were few school-age kids from the United States staying at the resort. However, my son found plenty of kids with which to play in the Just Kiddin’ kids club. Most of the kids were Spanish-speaking locals from the Dominican Republic and other Latin American countries.He often pleaded for more time to play with his new buddies when I came to pick him up from the Kids Club. As we walked through the Nickelodeon Punta Cana, both staff and resort guests would greet us with “Hola, buenos dias!” Then they would give my son a high five. 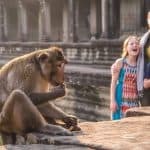 I have to admit that my son was a bit stunned by the warmth and friendliness of the people; it was a bit of a culture-shock for him. 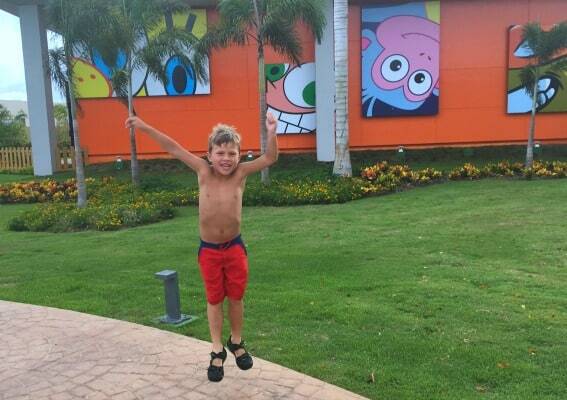 Ultimately, Nickelodeon Resort Punta Cana was the perfect introduction to Latin American culture for my son. There were no worries for me about navigating a foreign country with a young child. I didn’t need to think about which food and water sources would be safe for our tummies. There was plenty of exposure to the new language and different cultural norms. 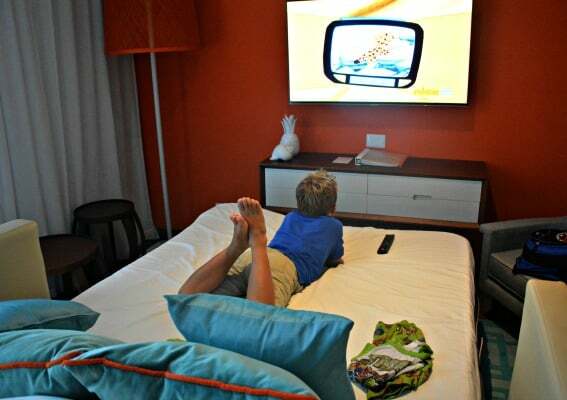 The Nickelodeon Resort is certainly one of the best Punta Cana all-inclusive family resorts for kids. Check out Trekaroo’s Best Baby-Friendly All-Inclusive Resorts for a Family Vacation. 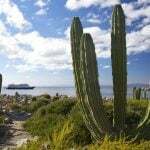 When traveling to this region it is important that you have a plan to protect your family from the sun. Most people with pale skin at the resort during our visit had some sort of sunburn. Consider a good quality sun shirt for the kids and don’t forget to pack sunscreen. There is a dress code in the restaurants for dinner. 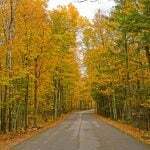 Plan to pack one or two outfits to wear at night; I brought capri pants and a nice blouse. My son wore a polo shirt and shorts. You’ll also want a cover-up to wear around the resort after a trip to the beach, water park, or pool. 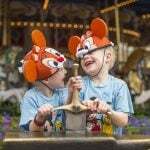 Be sure to contact the hotel in advance to reserve a character breakfast. It is available by reservation for an extra fee. It would also be wise to confirm the availability of any baby and toddler amenities such as cribs, pack-n-plays, and strollers prior to arrival. While we did not have the opportunity to leave the resort during our stay, there is a desk available for booking tours in the hotel lobby. Be aware that the transfer from the airport is 30-45 minutes. United States citizens and citizens of many other nations are required to pay for a tourist card upon arrival into the Dominican Republic before entering the line for customs. This fee is 10 US dollars per person payable in cash only. Nickelodeon Resort and Hotel shares most of its pools, restaurants, and amenities with the adjacent Sensatori Resort. 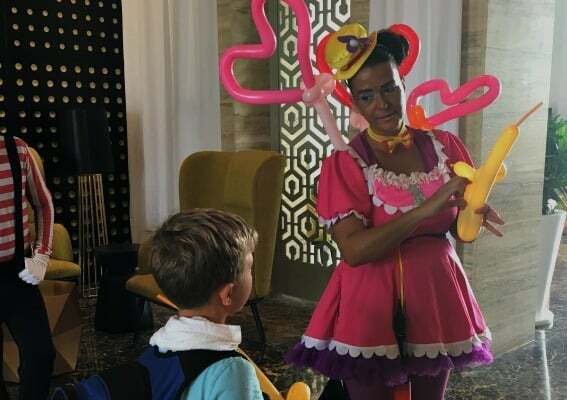 Disclosure: The author and her son were hosted by Karisma Hotels and Resorts at the Nickelodeon Resort and Hotel in Punta Cana for three nights for the purpose of this Nickelodeon Punta Cana review. All opinions are her own. All images by Melissa Moore unless otherwise credited.